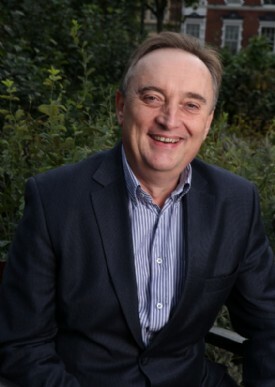 Shaun McCarthy OBE is former Chair of the Commission for a Sustainable London 2012 Olympics and Chair of the Supply Chain Sustainability School, which represents a common approach to addressing sustainability within supply chains. OK, it’s not the Second World War but the past four years of developing a global standard for sustainable procurement has felt like a long hard slog. The good news is that ISO 20400, the first and only international standard for sustainable procurement practice is launched today 20th April 2017. I led the UK delegation and was one of only nine people who attended every meeting in Paris, Foz do Iguacu (Brazil), Singapore, London, Sydney and Rio. It all sounds very glamorous but being stuck in a hotel room with 40+ people for a week, 10-12 hours per day debating endless details is not much fun. So I can feel a bit smug today and can enjoy a glass or two this evening to celebrate. I would also like to take the opportunity to thank my colleagues Cathy Berry from Action Sustainability and Colin McKerracher from BSI who supported me throughout. Firstly, the standard is incredibly well supported with 38 participating countries and 14 observing countries together representing 65% of the world’s population, 85% of the world’s GDP and 73% of the world’s carbon emissions. It also has the support of many international organisations such as UN, OECD, ITUC and many more. It is truly a standard for all nations and cultures and ideal for multinational businesses. Celebratory events will take place around the world. The UK will celebrate in London on 10th May 2017.
edie will be publishing the edie Explains guide to ISO 20400, in partership with Action Sustainability, here next week. Thinking of adopting the ISO 20400 Standard for your organisation? Download the free edie explains business guide, produced in association with edie's supporting partner Action Sustainability, for an in-depth summary of the new standard and the benefits it offers. Download the edie explains: ISO 20400 guide here.